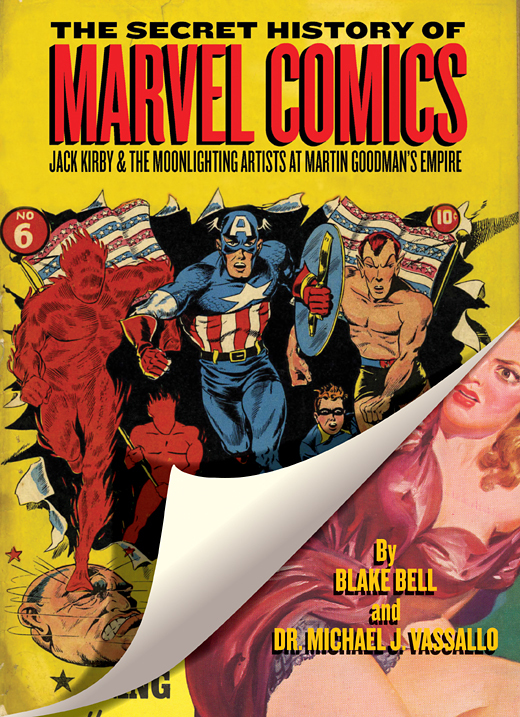 Last week, we published part one of our weekend dedicated to putting together the visuals for my latest book project, The Secret History Of Marvel Comics: Jack Kirby and the Moonlighting Artists at Martin Goodman’s Empire, that makes its debut at the San Diego Comicon in July of 2012. First Row: 1] One of Michael's prized possessions is his Secrets Behind The Comics by Stan Lee; a small 1947 publication that features Lee pontificating on how to put together comics. 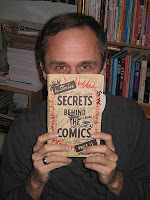 This is a special one because Michael has a zillion Timely creators sign the cover. Can you pick out all the names? 2] The biggest laugh came from a magazine ad for the Do-It-Yourself-At-Home dentures! 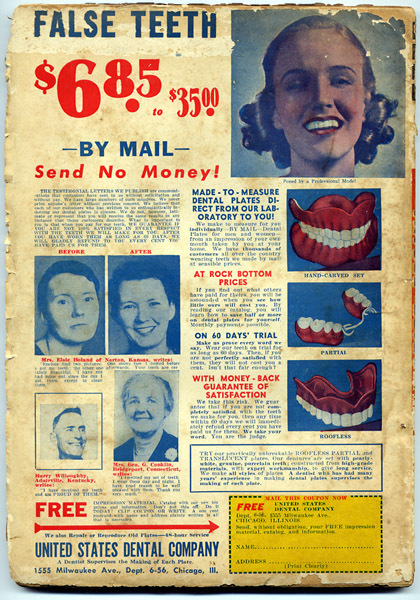 "We have thousands of customers all over the country wearing teeth we made by mail at sensible prices" from National Detective Cases v1 #3 (Jul '41). 3] Wow! 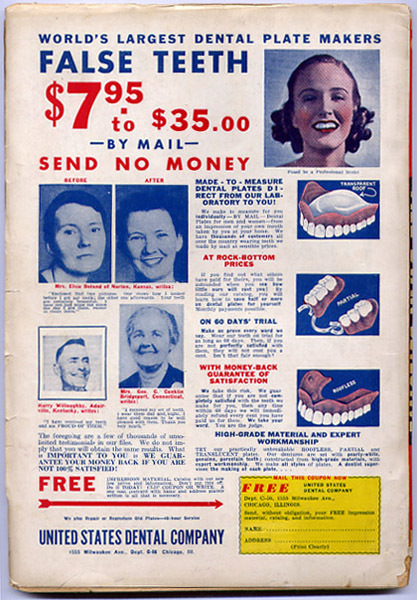 In just 5 months during 1941, the cost of Do-It-Yourself dentures went up $1.10 in price! 4] Best Martin Goodman pulp magazine ad ever? Are you ruptured? 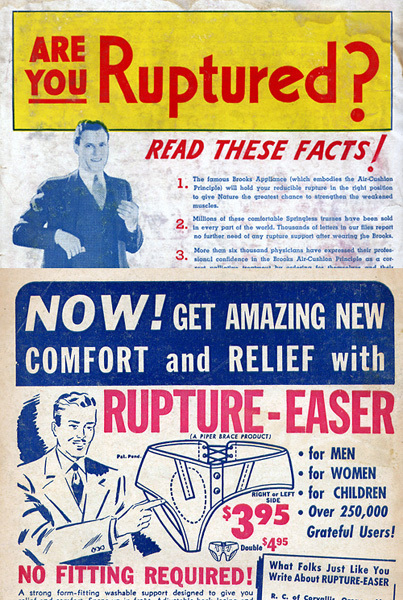 Need the "double Rupture-Easer"? Of course you do. 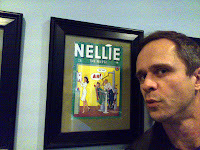 5] The book's primary focus begins in the early 1930s when Martin Goodman starts publishing pulps and ends in the 1950s. 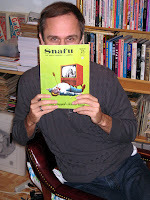 I'm holding Snafu #3, Martin Goodman's Mad Magazine rip-off, but a treasure trove of art by Bill Everett, Joe Maneely, John Severin, Russ Heath and more! Second Row: 1] Me buried deep in Michael's basement. Can you name some of the art of his walls? 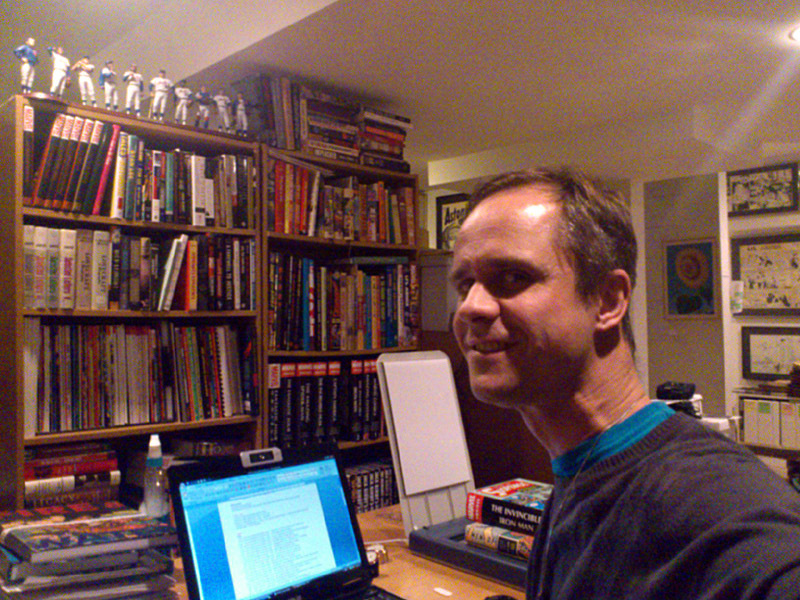 (It can now be revealed - Michael's been secretly hoarding all the old Timely original art!) 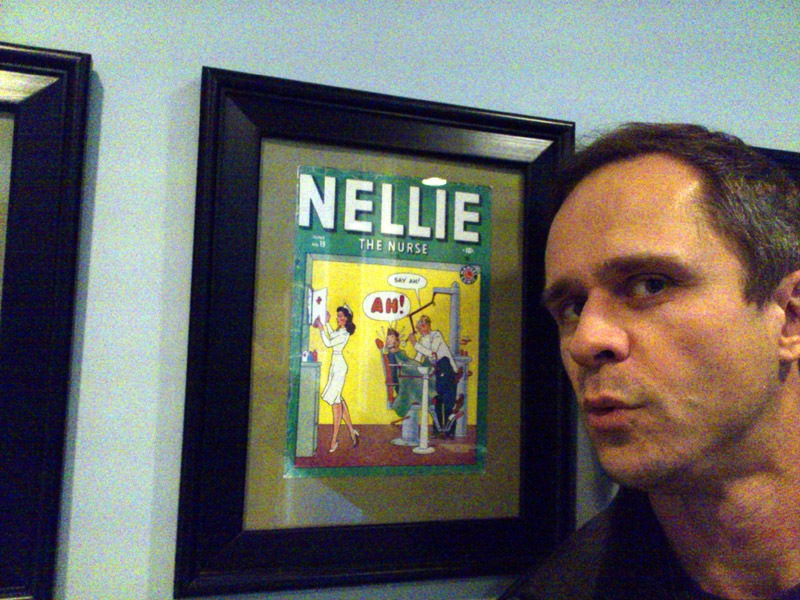 2] Nellie The Dental Assistant? Even in Michael's dental practice does Martin Goodman rule the roost. 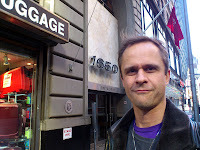 3] Remember when a few Ditko fanatics got all over UK teevee personality Jonathan Ross for the scene when he and Neil Gaiman visited Ditko's Manhattan studio and "revealed" the address on the building? Yet, Ditko the alleged "Recluse" has had his studio phn # and address published publicly for decades. 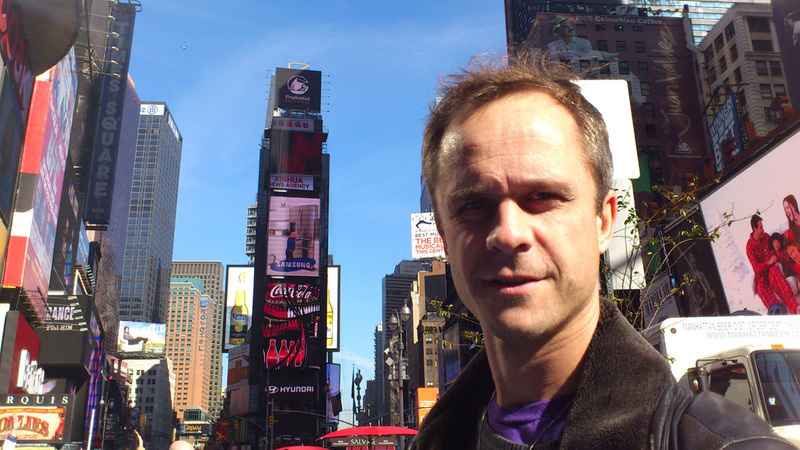 4] Times Square in November, ten years after I visited Michael for the first time in 2001 (two months after 9/11) when I visited Ditko's studio for the first time. Of course, back in 2001, there was no security guard blocking the elevator. I blame you, Jonathan! Oh. My. Gord. So jealous! It had never occurred to me that DMJV must have an amazing collection not just of comics but original art and memorabilia as well. Blake, You and Michael will probably be interested in this long interview with Bruce Jay Friedman. 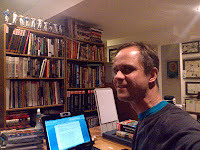 Very interesting, and fairly extensive comments about Martin Goodman about 25min. in. Also a Will Eisner story at the very end. One thing I didn't know is Goodman sold his pulp magazine division in 1965, three years before he sold Marvel to Perfect Film and Chemical. 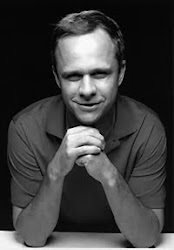 Friedman turned down an offer to follow Goodman as publisher, and left the company to pursue full time writing.